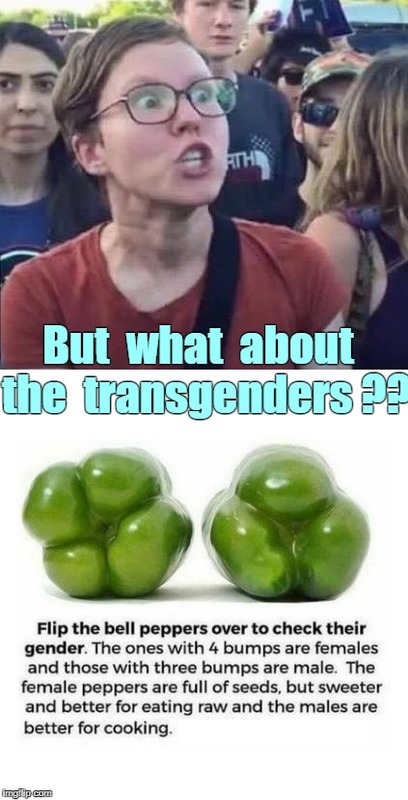 I recently found out from snopes that "bell pepper gender" is total bulls**t. Bell peppers have both male and female parts. But what about the transgenders ? ?